Inter Club Competition CIPC versus ECSC 2nd Leg. http://eastcoastshootingclub.com/wp-content/uploads/2019/02/ECSC-50th-20190101-300x169.png 0 0 SMCEditor http://eastcoastshootingclub.com/wp-content/uploads/2019/02/ECSC-50th-20190101-300x169.png SMCEditor2018-07-23 18:17:022018-07-23 18:17:02Inter Club Competition CIPC versus ECSC 2nd Leg. February Pistol Competition Shoot Report. http://eastcoastshootingclub.com/wp-content/uploads/2019/02/ECSC-50th-20190101-300x169.png 0 0 SMCEditor http://eastcoastshootingclub.com/wp-content/uploads/2019/02/ECSC-50th-20190101-300x169.png SMCEditor2018-02-27 11:42:152018-02-27 11:43:13February Pistol Competition Shoot Report. 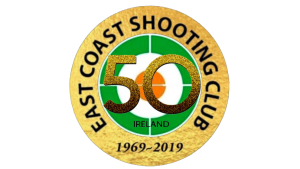 http://eastcoastshootingclub.com/wp-content/uploads/2019/02/ECSC-50th-20190101-300x169.png 0 0 SMCEditor http://eastcoastshootingclub.com/wp-content/uploads/2019/02/ECSC-50th-20190101-300x169.png SMCEditor2018-02-17 14:02:252018-02-17 14:07:09Inter Club Pistol Competition.